Hi Insiders! Thanks for joining us for our Live Chat this evening with Ouijaologist Karen Dahlman. Before I introduce Karen, say hello and tell us where you’re from. Hi Karen, Lex and everyone from Hemet California! Good evening Karen and Lex. from San Tan Valley Az. Welcome one and all! Let me tell you a bit about Karen before we get started. 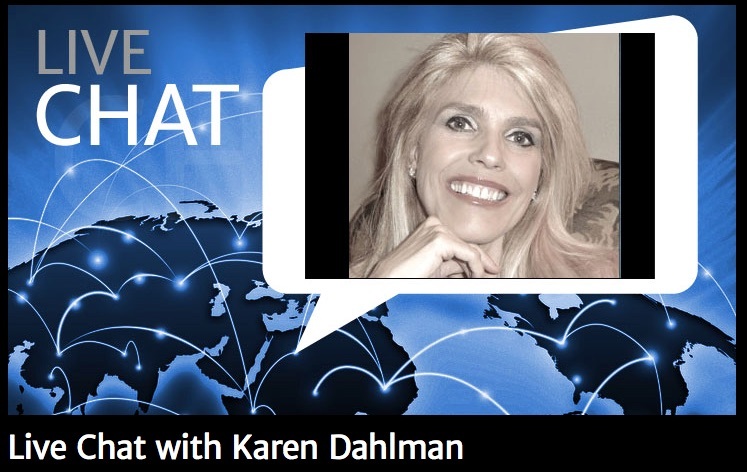 Karen A. Dahlman is a published author, licensed psychotherapist, spirit communicator, paranormal and metaphysical practitioner. 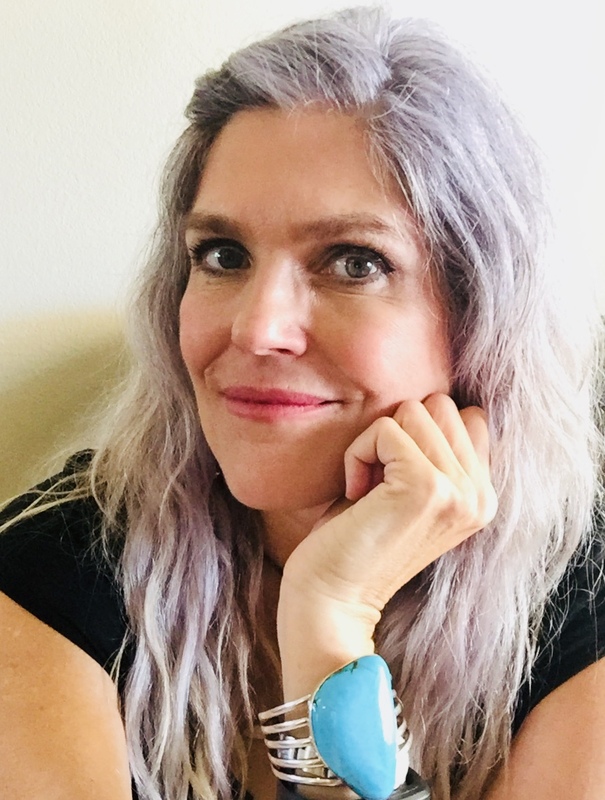 Karen holds a master’s degree from the University of New Mexico in art psychotherapy and is a clinical hypnotherapist and past life regressionist. After spending her formative years living all over the United States, she made Southern California her home in 1999. 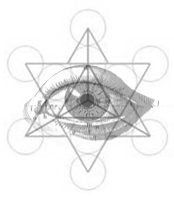 Within paranormal and metaphysical circles, Karen is known as a leading, expert Ouijaologist™. Since 1973, Karen has been directly communicating with her Spirit Friends via the Ouija Board, while receiving consistently profound and relevant messages from the varying consciousness and sentient beings with whom she maintains relationships. She is the author of several books including, The Spirits of Ouija: Four Decades of Communication. Having a strong, spiritual connection to her Spirit Friends, as she has throughout her entire life, Karen shares within her books the positive benefits of exploring consciousness whether it’s through the use of the Ouija Board or other creative means that serve as pathways to explore the various spiritual dimensions that exist among us. Her writings teach you how to plug into the consciousness of your Higher Self and step into this empowered center, unveiling that person you are meant to be and to express within the world at large. 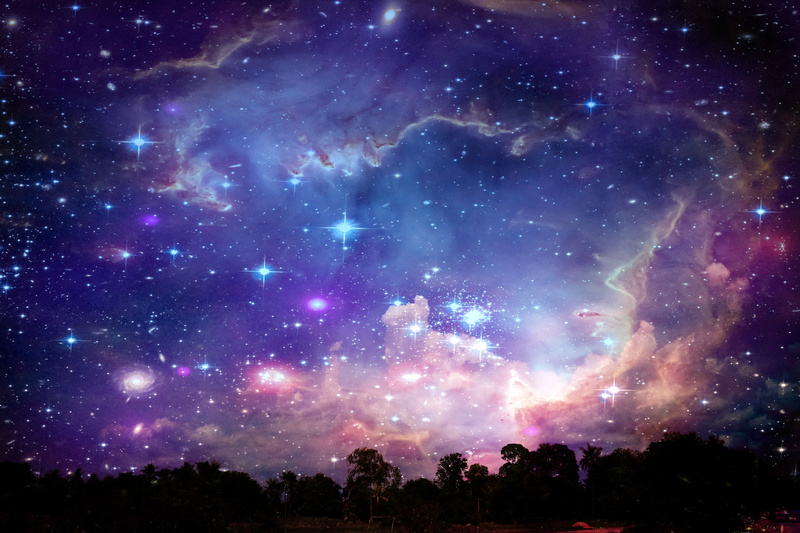 Karen’s mission is to continually push the boundaries of consciousness through exploring, researching and communicating with this expansive and sentient Source energy. Karen, good evening and thanks for joining us. Would you like to make some introductory remarks before we open it up for questions? Quite often we fear what we don’t understand and/or what only we have been told. This is what has happened to the Ouija Board, which is only a tool. What we should fear are our own projections we place upon an inanimate object that is just made from wood, Masonite or cardboard. I always suggest that a user of the Board check one’s own internal thoughts and intentions before using such a tool because what you expect is what you will get and attract to you! Over the years, what I have found with the use of a Talking Board (Ouija Board) is that there is so much more to consciousness to explore and understand than we have been led or have learned to believe. Okay, are you ready to dive into the wonderful world of Ouija? Hello Karen, what is the best way for a new Ouija board user to get started? 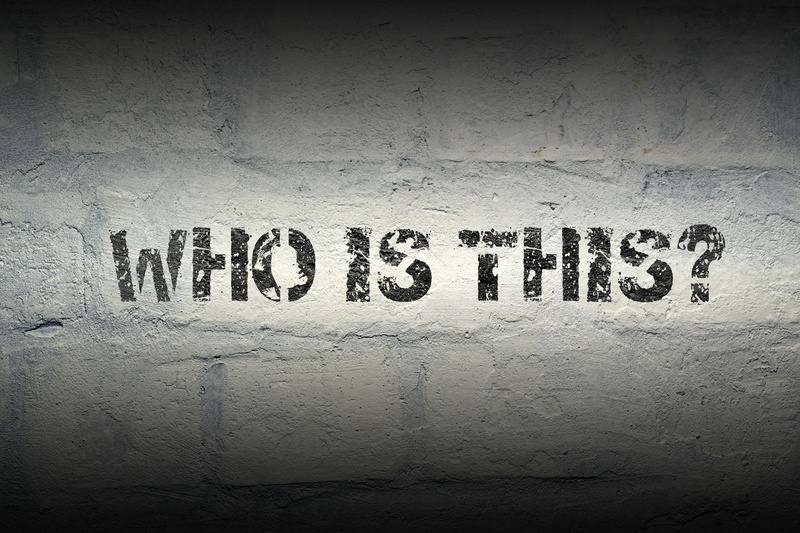 Hello Gary – the best way is to decide what your focus for the session will be. This means become very clear on what you would like to explore and/or who you would like to communicate with. Then, state these intentions aloud as this will establish a vibration for like vibration to respond. The most important lesson you will learn from using a Board is the lesson of patience! Lots of patience and perseverance. Karen, can we use a computer to track the board messages? I have gone to psychics and they have not used recording devices because the energy field interferes with the communication. Hi Kelly. Yes, you can use a digital or video recorder. In fact I use these devices during my sessions. I find no such interference. None of the spirits and energies and consciousness I communicate or have communicated with have every complained. In fact, they like that we use all of our tools/devices to be able to share this work. What are some benefits of using the Ouija and is there a special way of using it to obtain positive results? Ann…yes! Positive is all I get because of my approach with this tool and most importantly with my intentions, thus the vibration I am sending out. Some of the positive benefits are: learning to dig deeply within and find the answers, developing my connection with my Higher Self, learning that we are never alone, knowing that life never ends- it just changes forms, also learning that our loved ones and pets continue on just in another dimension and vibration. You can achieve these results quickly when you combine meditation, reflection, contemplation and energy work outside of the actual sessions. Then, the vibration rises. All of this communication and the dimensions you reach are because of the rate of the vibrations, thus the frequency of yourself! 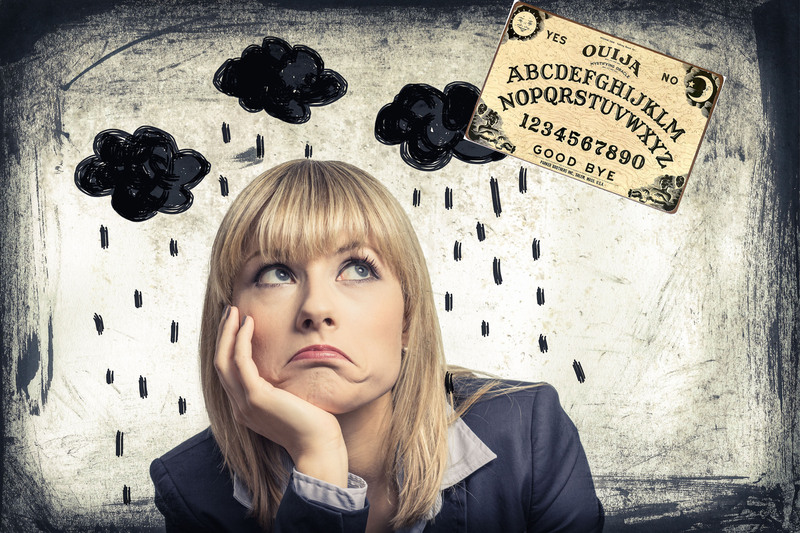 What do you do to protect yourself from negative entities contacting you when you use the Ouija board? Hello Lori. Negative entities are of a lower vibration. (You will see that the key word tonight is “VIBRATION!”) When you work on yourself to uncover and know your divine self as an extension of Source energy, many fears will fall away. What you end up with is a communication and connection with this light Source. Can a spirit attach itself to a board or follow you around from board to board? I had a board and a friend and I were talking to it and it gave us a name. Then years later a different friend and I were talking and the same spirit came through. I got scared and quit talking to it. Now I wish I had followed through. Well, we can call upon or draw to us these fears….and we can also just plain out scare ourselves. In your case, I wouldn’t think it to be the Board, but that there was a being/spirit that wanted to communicate and just came through the next best tool it could find that you were willing to use and had some belief that the Ouija could work for this purpose. I know other people who don’t believe in this tool and guess what? The tool never works for them! Hello, Karen. 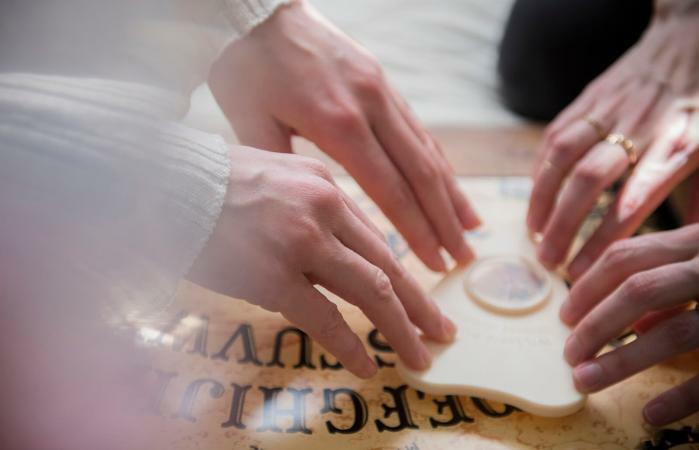 Do alcoholic drinks or certain drugs help or harm the individual when using ouija boards? Thanks. 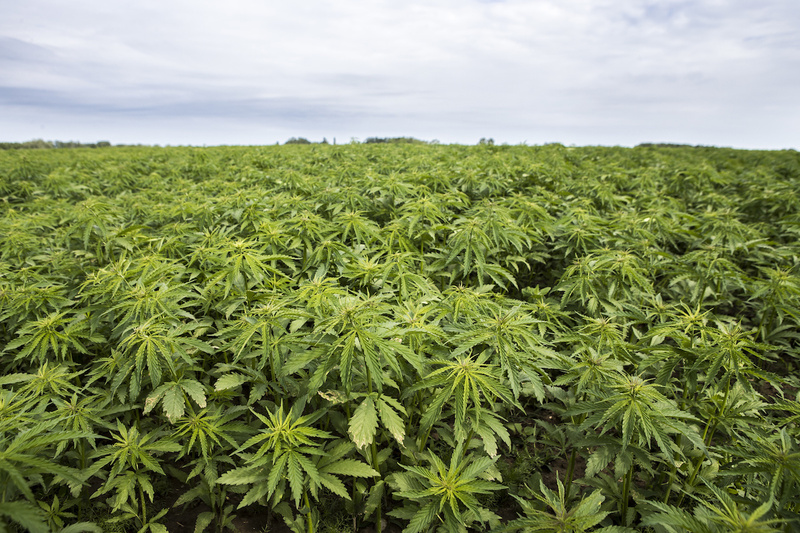 When we imbibe in substances that alter our experience, we are also altering our vibrations. Anything that causes us to lose our faculties even slightly will shift our vibration. Everything is comprised of vibration and space. We will attract to us the like vibratory response in the form of a matching consciousness. Is it possible to use the Ouija board by yourself? Is there an optimal number of people who should be participating in the session? HI Bic. Yes, it’s possible to use the Board by yourself. However, it is a much harder skill to learn due to the fine, subtle movements of the planchette as it begins to move for a novice…. I recommend two people to start and if you don’t have another to work with you, then you may have to practice that much more patience to learn to separate the movements that you may be creating by the ideomotor response versus the energies from beings helping the movement. I never use more than two people on the planchette at a time because it moves through the interface of the two people’s energies commingling as that is what the spirits use to communicate. Having more people can throw off this balance. I prefer smaller Ouija Sessions when I host open message circles as the message will tend to be more personal. With more people present, “they” try to accommodate everyone and the messages can become more global, but nonetheless, still very good!! I am hesitant to use the Ouija due to all the warnings from many knowledgeable people. Can you assure me that my experience will be positive? I will answer you with a question: “Can YOU assure that your experience will be positive?” Now, I turn the tables because I cannot control or enforce what your mind, thoughts, beliefs and intentions may be creating the moment you try the Board. What I suggest is that you ONLY come to try this tool when you feel empowered from within and not by what others say…. I highly suggest that you go to my website (karenadahlman.com) and look under ARTICLES and click on TALKING BOARDS in the drop down menu and read a few of the brief posts I placed in there for you and others who share a similar trepidation. You can always write me at my website. Do you utilize other forms of communication, such as pendulums? 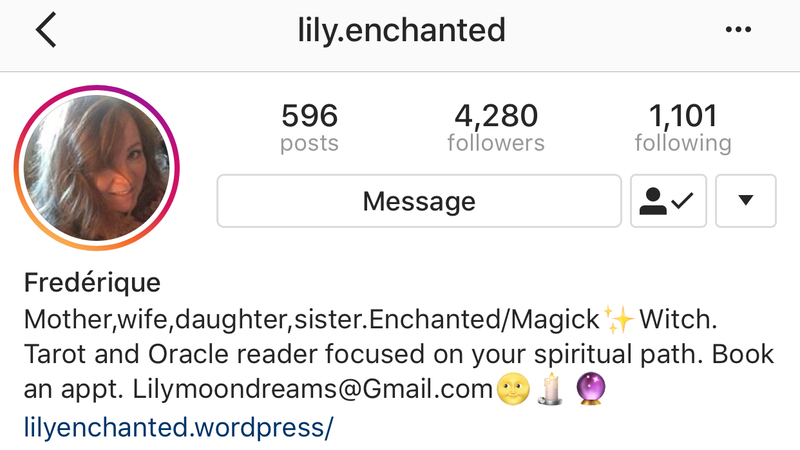 I use a variety of tarot and oracle decks, automatic writing, journaling and dream recall. I have experimented with a pendulum, but I don’t feel called to use one at this time, but have seen some people use them who are very good with the tool. Sounds like that must be one of your tools?!?! Hi Karen, have you ever used the board on a live show for other people to see ? Hi Skywatcher. Well, as a matter of fact…Yes! I just started sharing the live sessions. You can find one of them on my website under videos. Check it out and you’ll see the kind of messages and communications we have. Karen, do you feel that the spirits of our pets and our loved ones are distinguishable still as a pet or a peerson or do you think that once crossed over into spirit they all make themselves known to us just as a spirit that we know or feel comfortable with. Yes, I have experienced them (in the early stages of having past) as being distinguishable as who they were – pets and people. However, once time (in our continuum) has transpired, they often move forward into their next evolutionary step of life. Sometimes they still come back to comfort us, be there for us, but when it’s time for them to move forward, they do. However, there are those who linger with us longer for myriad reasons. Is the board.. sometimes a form of hypnotism..in that people seem controlled by it, some more strongly than others? Hello Merlin, well what I do see and find is that people can become obsessed with it where they don’t want to do many things without consulting their “oracle.” It’s not the Board that does it. It is neutral. It’s the person who places their power onto it that are really doing the self-hypnotizing act. Is it harmful to look through the glass window on a planchette? Hahahaha! I loved that part on the Ouija Movie. Brilliant! No, not at all….in fact, I love to joke about that and often look through it and talk into it to express my humor during a session. Karen, would you like to pose a question for the group? 1.) inspire creativity within yourself? 2.) contact your angel or guide? 3.) speak with your Higher Self? We were just trying to contact a spirit from the other side and we did. When I was a kid, we wanted to see if anything would happen. We got nothing. Great Nonettej! Well, the best thing to do when you make contact, is to refrain from asking just yes/no questions. So, try to ask open ended questions where there is a need for them to learn to spell. I was trying to contact a ghost who lived in the house. A small candle we were using turned into a blowtorch and that ended that. I have never used the Ouija board except when I was very young and didn’t understand it. I would like to use it now to contact angels and guides. I do include all of the prayers, breathing exercises and ways to have positive experiences with this tool in The Spirit of Ouija book. I’ve looked at some of what you say about past life regression. I’m a veteran with baaad PTSD. Yet I’m not sure it was just this war that did it. Do you think it might help to do a regression? Frankly, I’m not sure I want to pop back into a burning bomber or the Little Big Horn. Great DocDoug! Using it to contact your guides, angels is the best place to start. just have lots of patience as the planchette will spell gibberish in the beginning stages…then one day, it will spell words that will turn into sentences that will become paragraphs, etc. Patience is a virtue! Regression work can help when you work with a trained clinician who understands the mechanisms of PTSD. That is a serious issue and requires the skill to help you find empowerment and not be vicariously traumatized through the reliving of your initial trauma. I wish you well with that Bic…it can be very helpful! Can you tell us about some of the interesting spirits or guides who have come through to communicate with you? Hello Fay, yes….I have so many friends in spirit, consciousness and energy. My most favorites are the following: Wilma Jean (deceased person), my Higher Self, Mary Angel and my Ethereal light beings of Source energy. Love them….all are so very loving and uplifting. I tell their stories and the progression with them in my book: The Spirits of Ouija. Fay, it’s just amazing to say the least. I feel very blessed and honored to have their friendship and contact. Have your guides made any statements about the coming year ahead? As a matter of fact they did! I did a prerecorded show the other night where they gave me info and I typed it up for the host to read. Once it’s released, the link to it will be on website. Can we do a session with you? Yes, Kelly. I have a link to that on my website. Look for PROGRAMS and drop down to read about them. You can inquire for more information there. Karen– thanks so much for making the time to join us tonight! Great information! And thanks to the Insiders for their insightful questions. Karen, Lex and everyone, thanks for a wonderfull chat! You’re a lovely young lady and fascinating too. Too young unfortunately. Is your mom single? What about your grandmother? LOL I couldn’t resist. Thank you Lex, YOU and all of the Coast Insiders with their great questions…..You Rock! Great Chat ! Thank you and good night all ! Thanks Karen, great information. Looking forward to using the Ouija board to contact my higher Self. Thank you. You’ve helped a lot. Have a nice night and be safe.